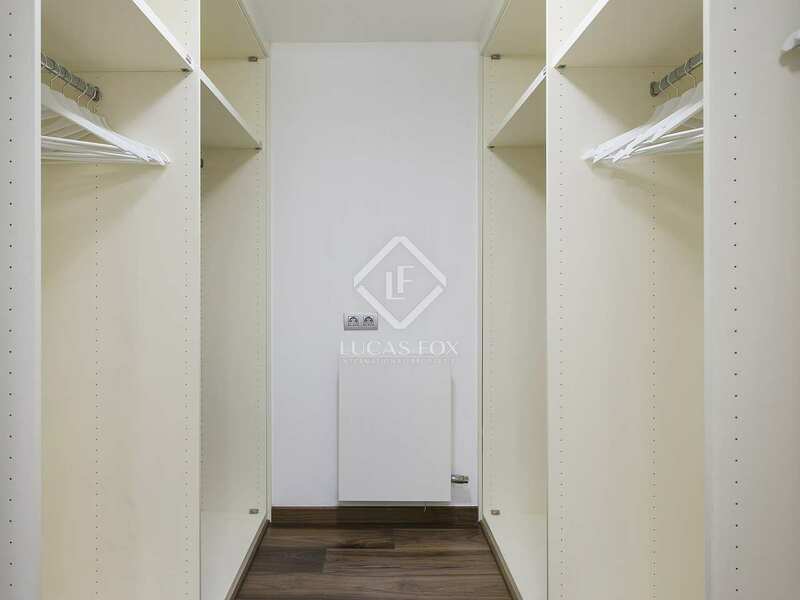 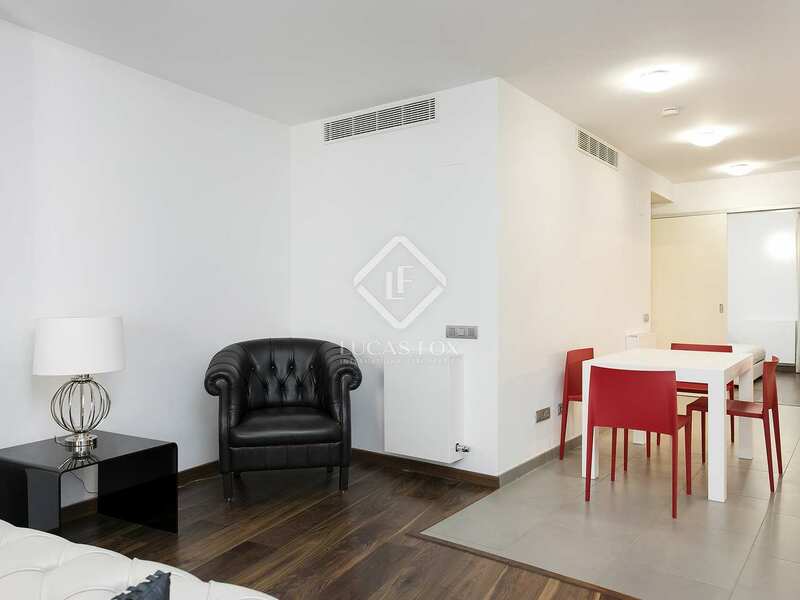 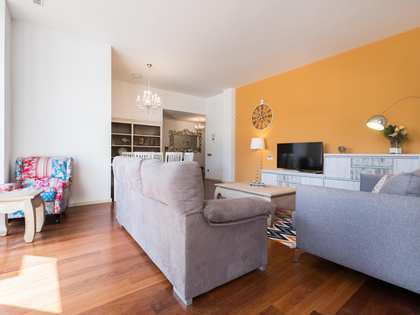 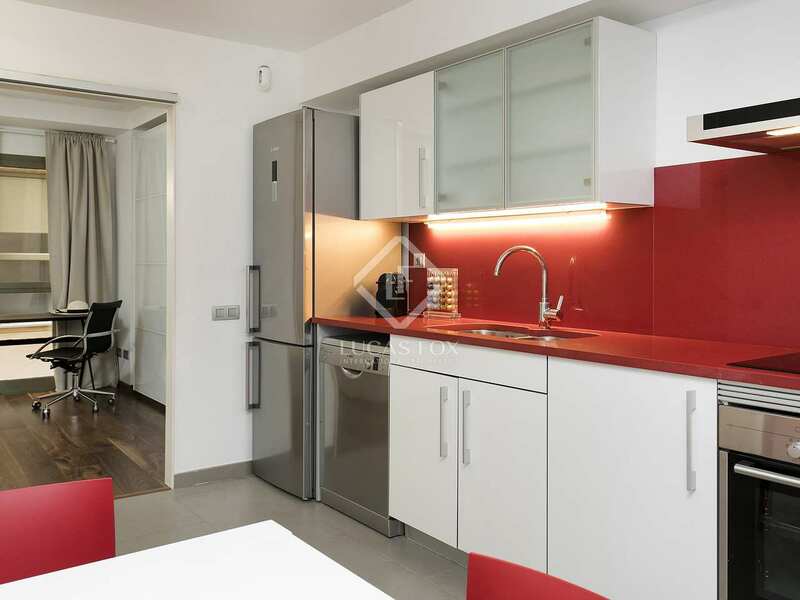 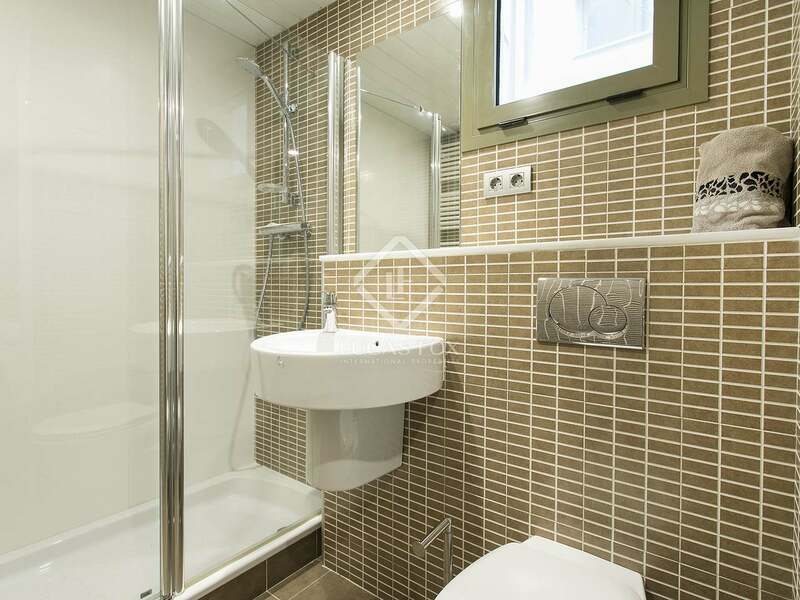 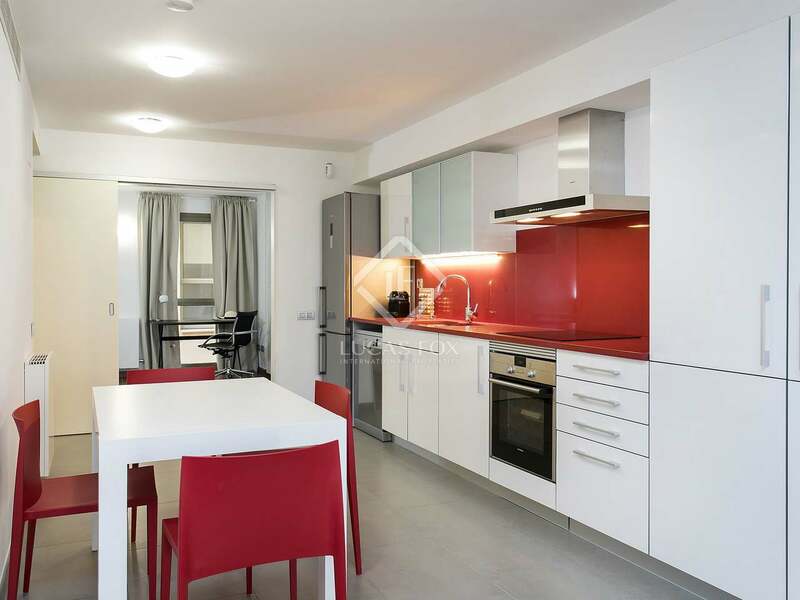 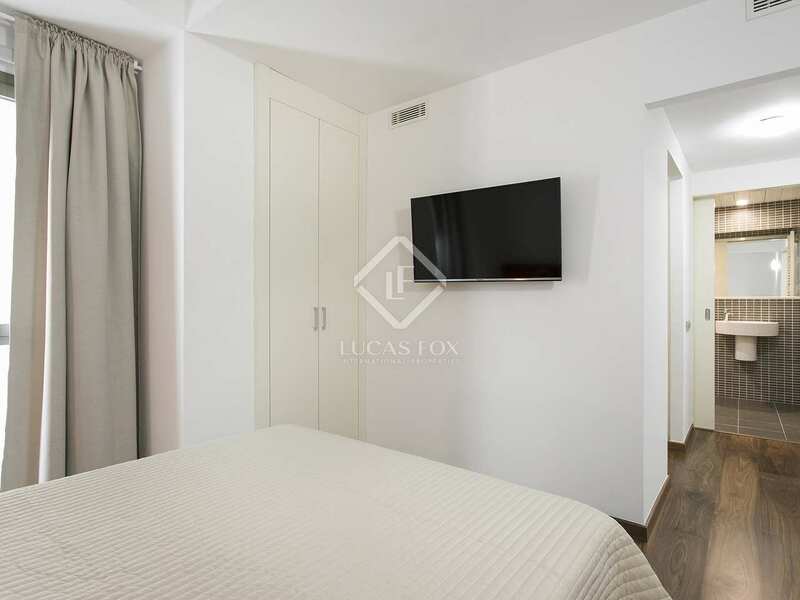 Fully renovated, furnished apartment of 109 m² located on the third floor of a fully renovated building on Portal del Angel, with its entrance on Passatge Patriarca. 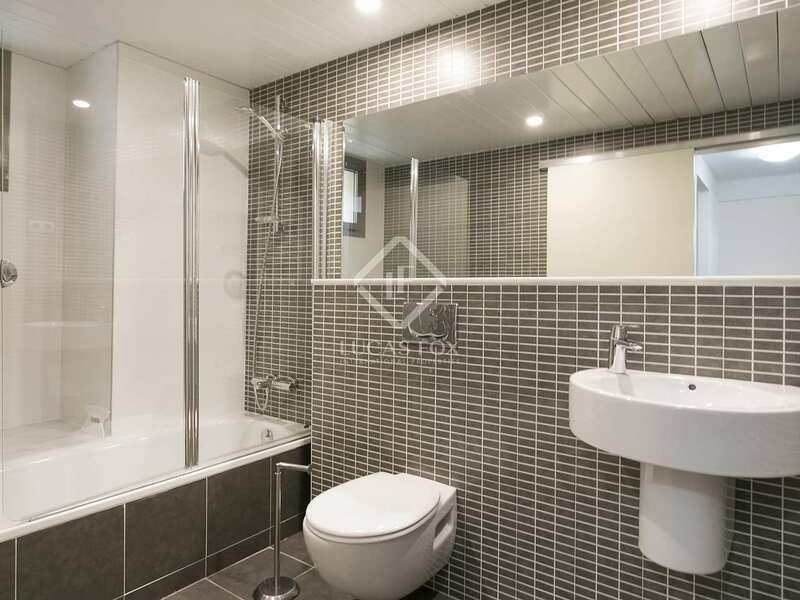 It is at the heart of the Gothic neighbourhood, on one of the most popular shopping streets in the city. 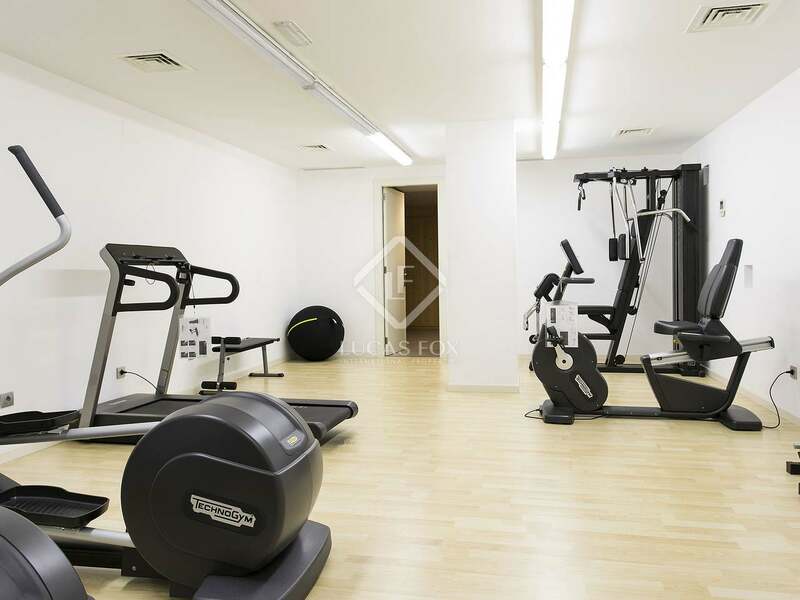 What's more, the building boasts a fabulous communal rooftop swimming pool, a 24-hour concierge service, security cameras and a gym. 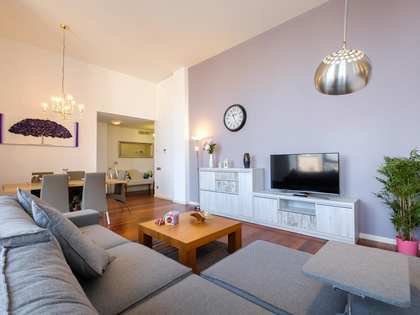 The property offers a huge 60 m² living room with a 65´ TV and designer furniture, a spectacular modern kitchen diner that is in perfect condition and is equipped with a fridge, dishwasher, oven, vitroceramic hob and extractor hood, 2 double bedrooms (1 with an en-suite bathroom and dressing room), 2 complete bathrooms (1 with a bathtub and the other with a shower and a utility area in one of the bathrooms with the water heater and a washer-dryer. 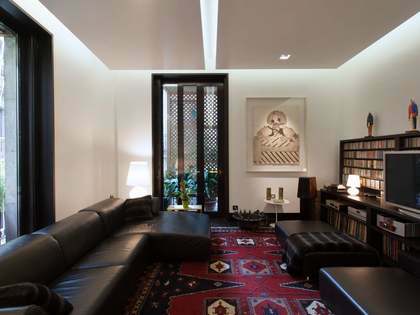 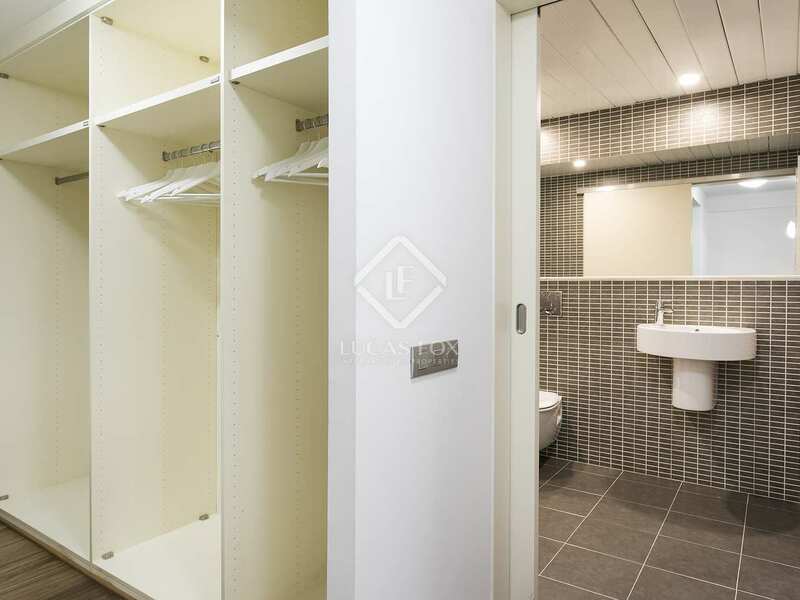 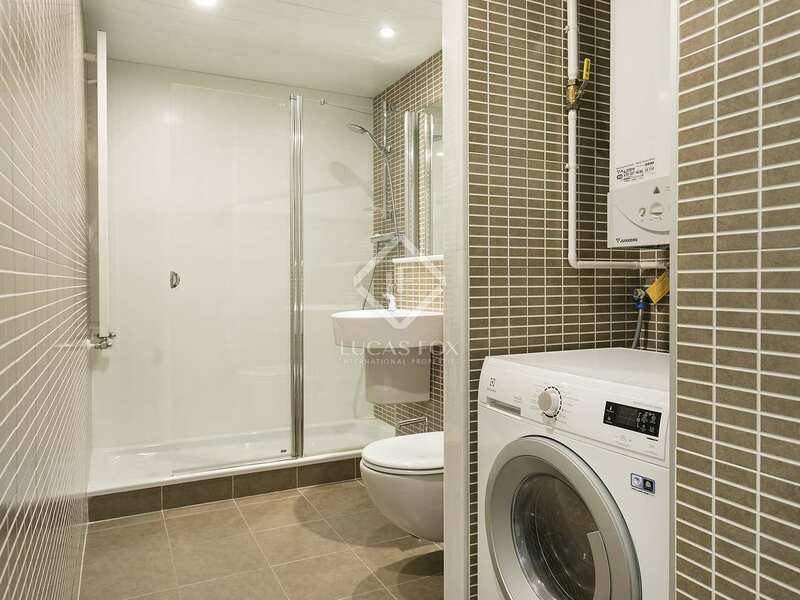 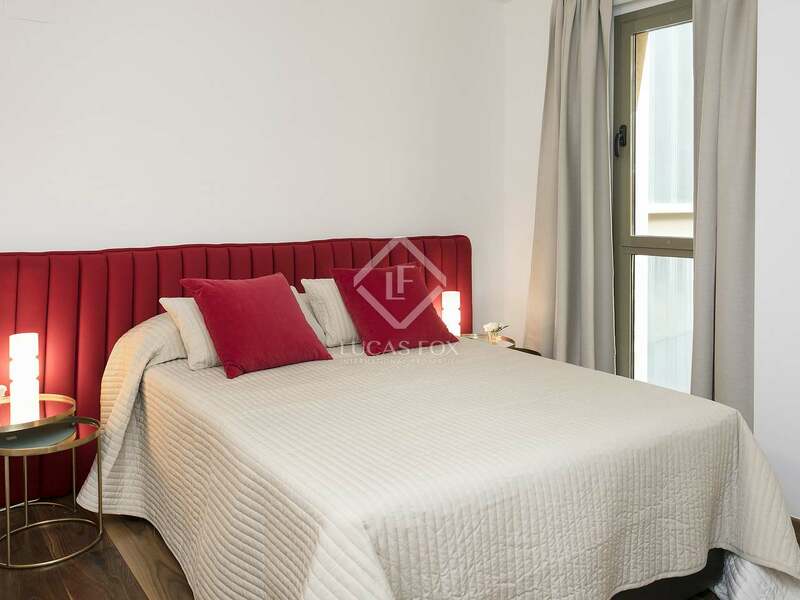 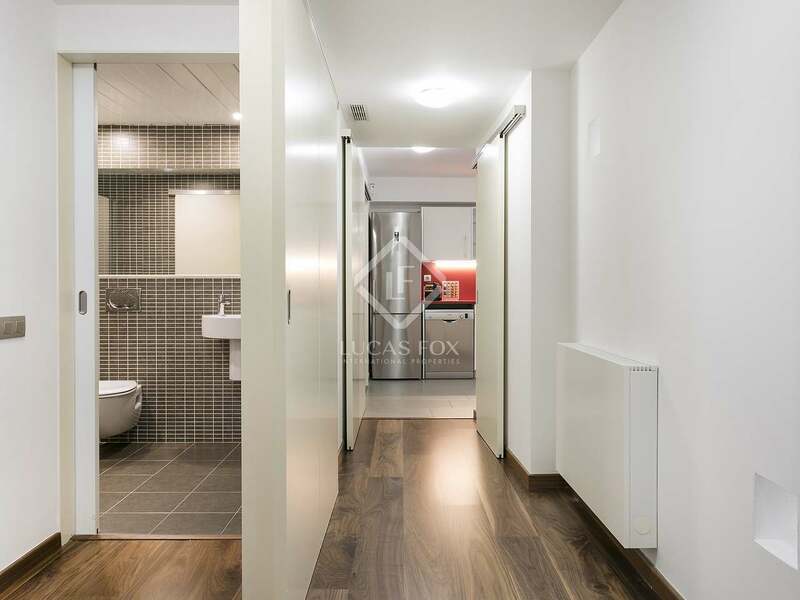 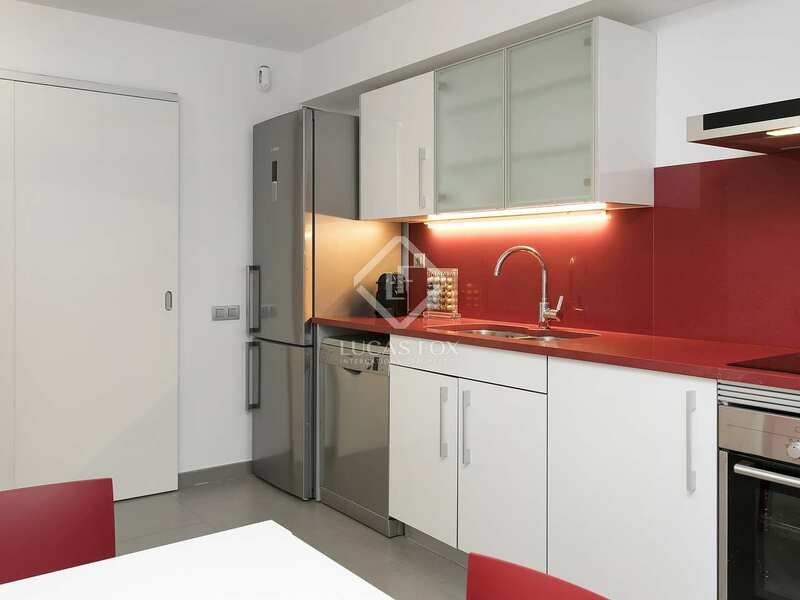 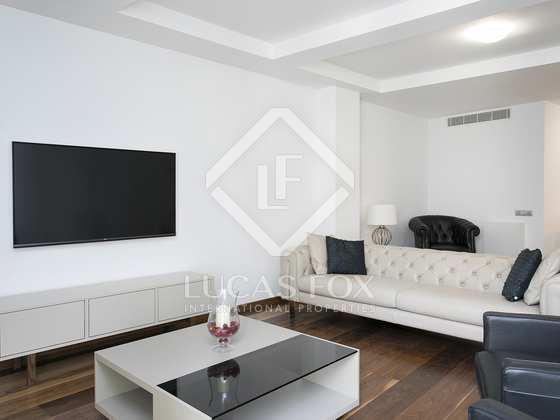 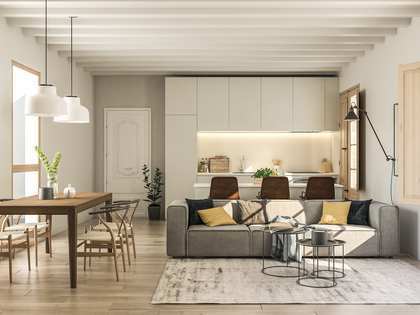 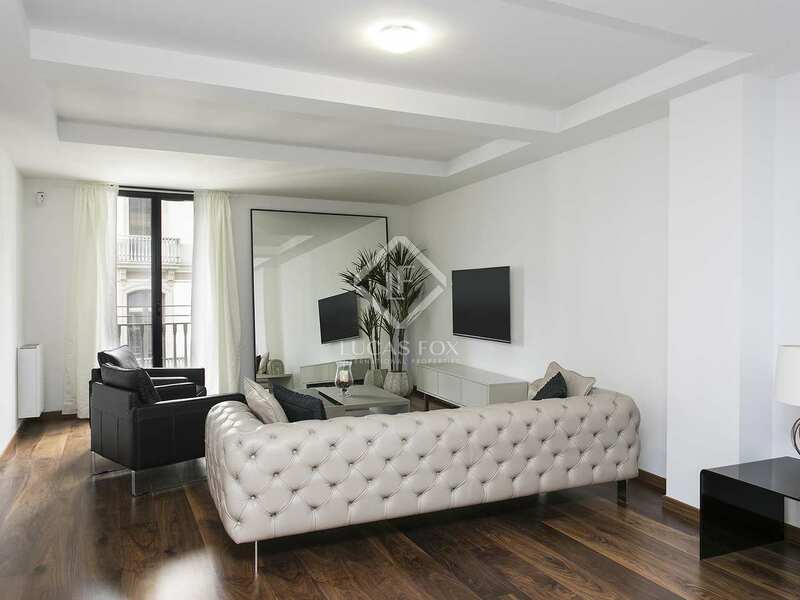 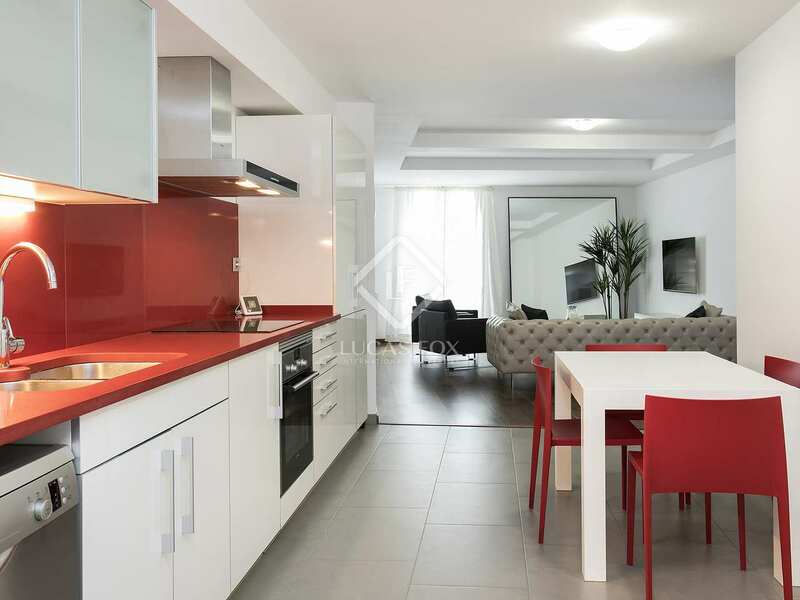 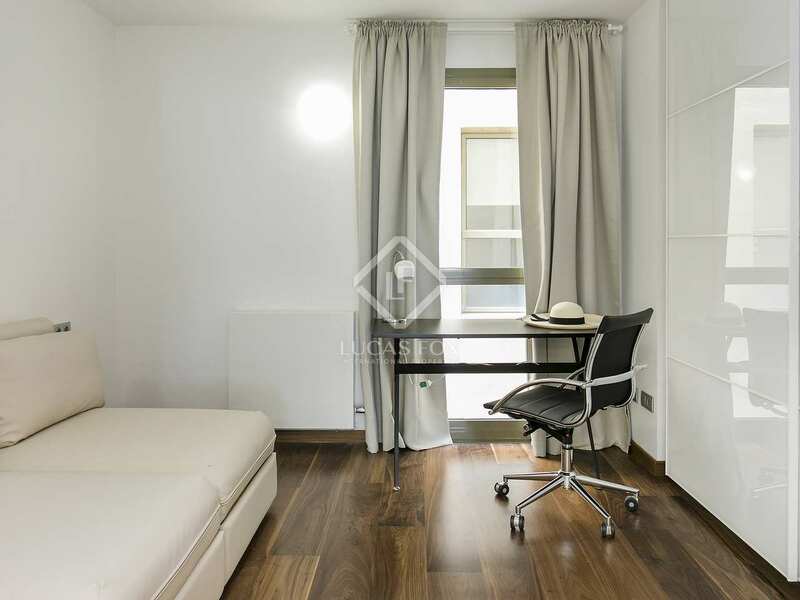 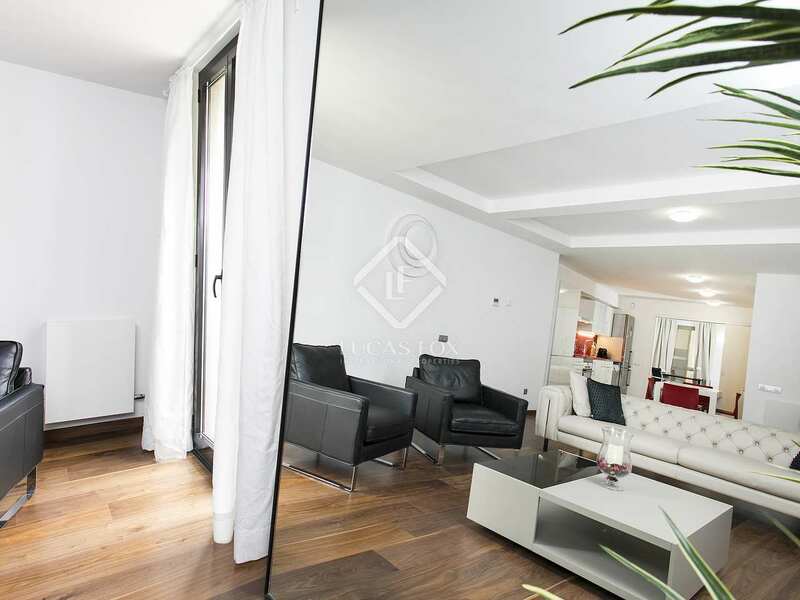 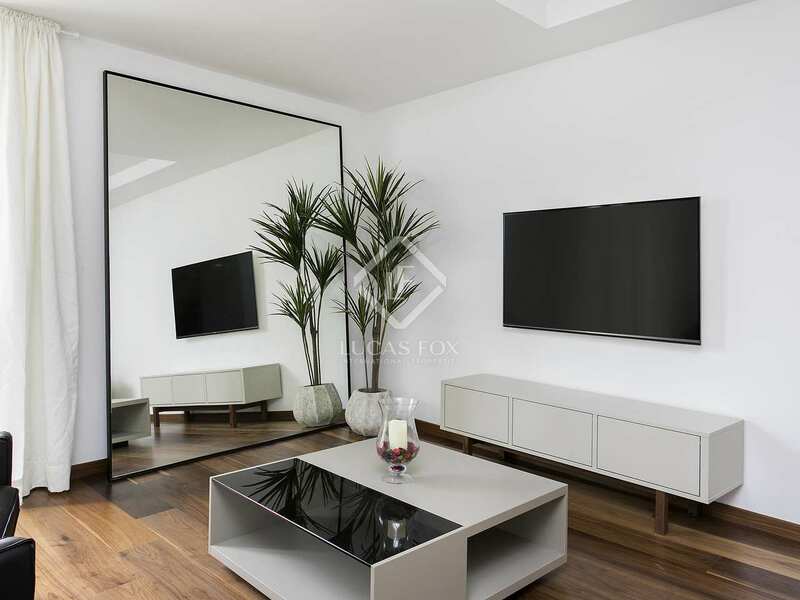 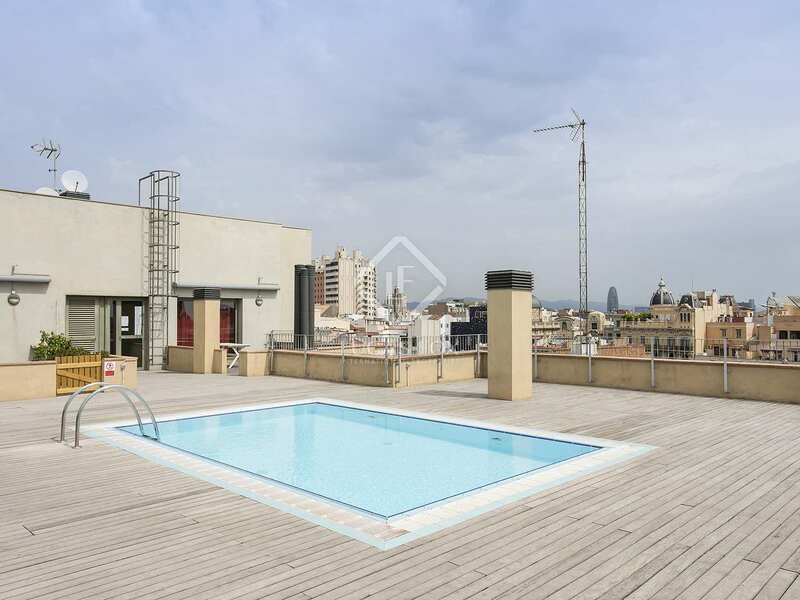 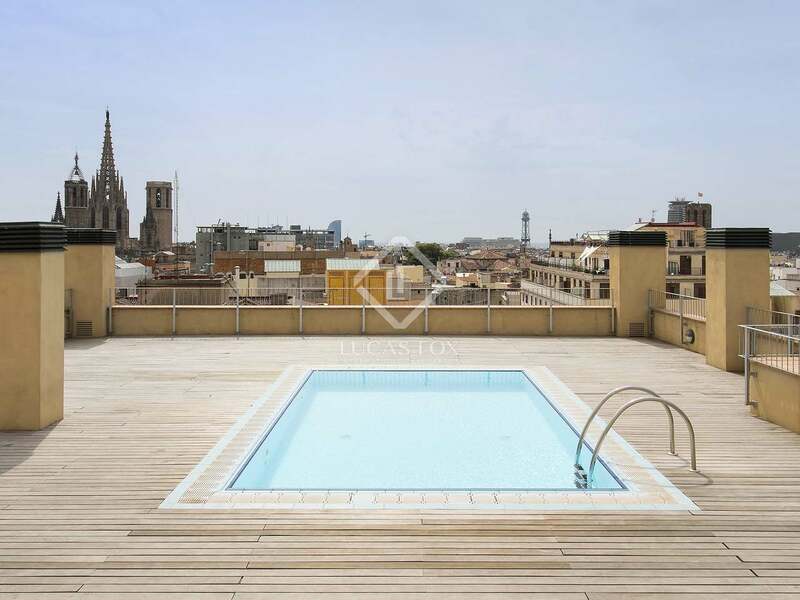 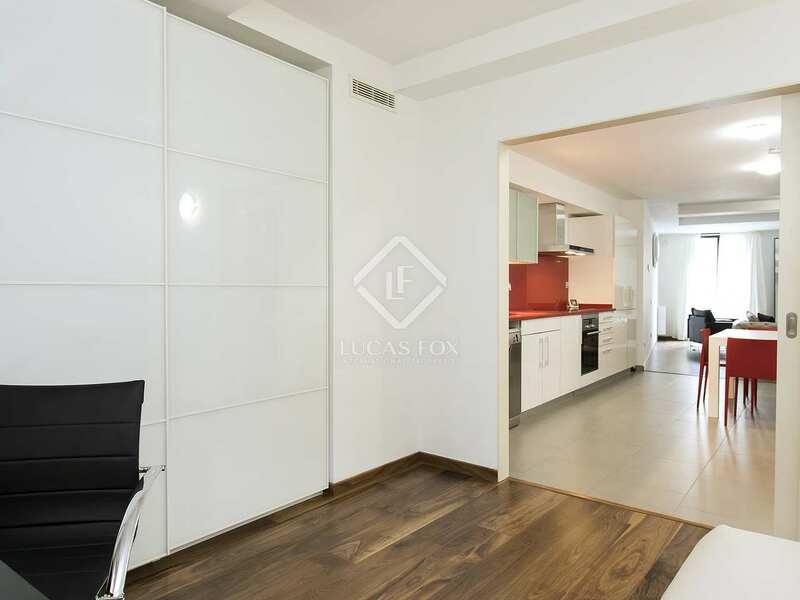 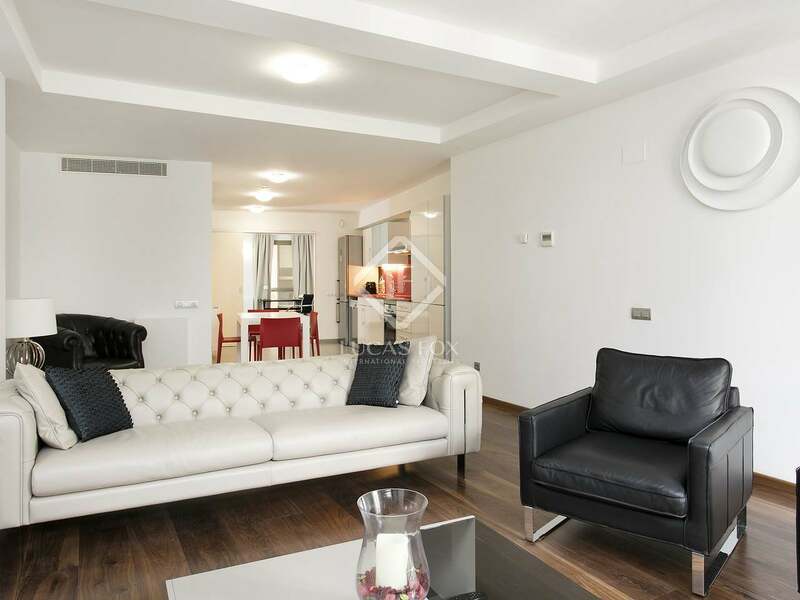 Air conditioning, heating, double glazed windows, led lighting and fitted wardrobes are just some of the additional features of this high-end residence with fabulous communal facilities in a prime Barcelona location. 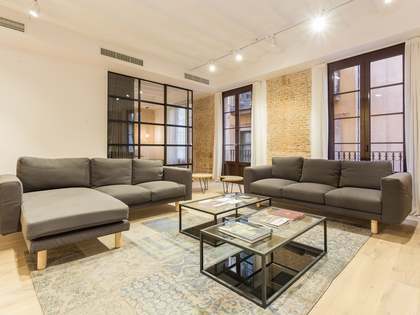 Property located on the third floor of a fully renovated building on Portal del Angel, with its entrance on Passatge Patriarca. 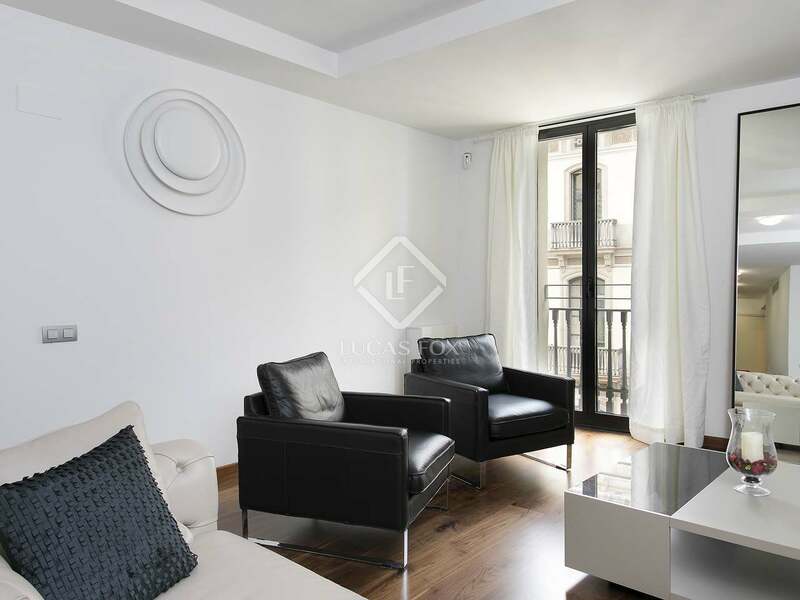 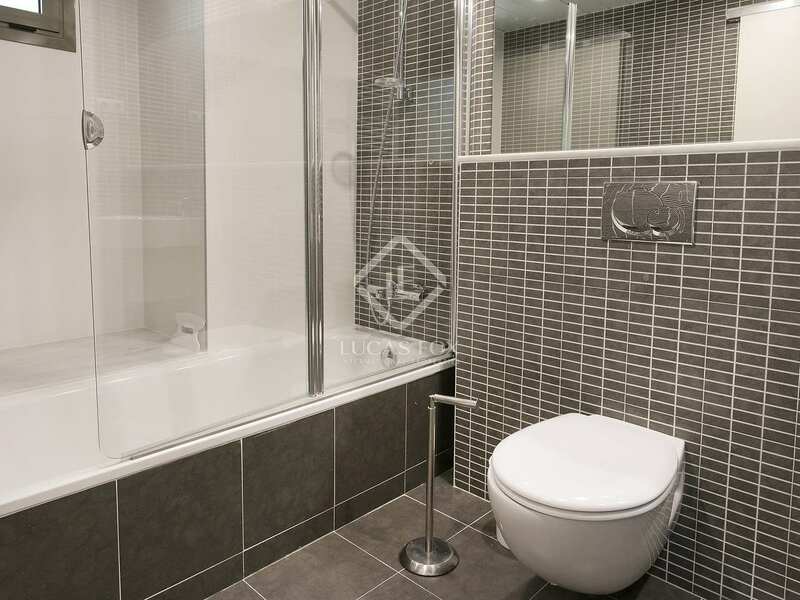 It is at the heart of the Gothic neighbourhood, on one of the most popular shopping streets in the city. 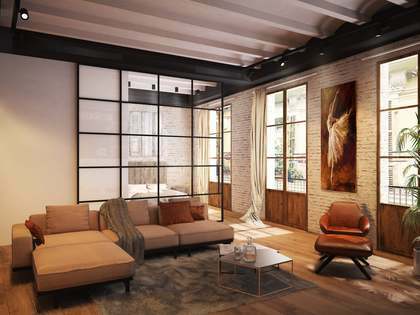 The area is brimming with shops, restaurants and leisure options.